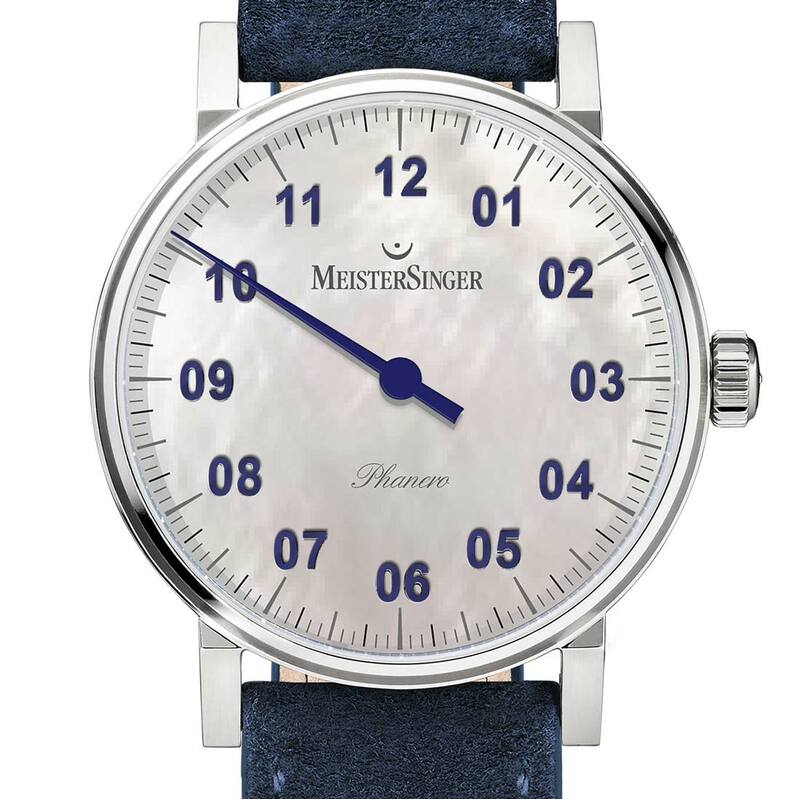 Presented at Baselworld 2016, the Phanero is the smallest and thinnest model in the MeisterSinger collection. 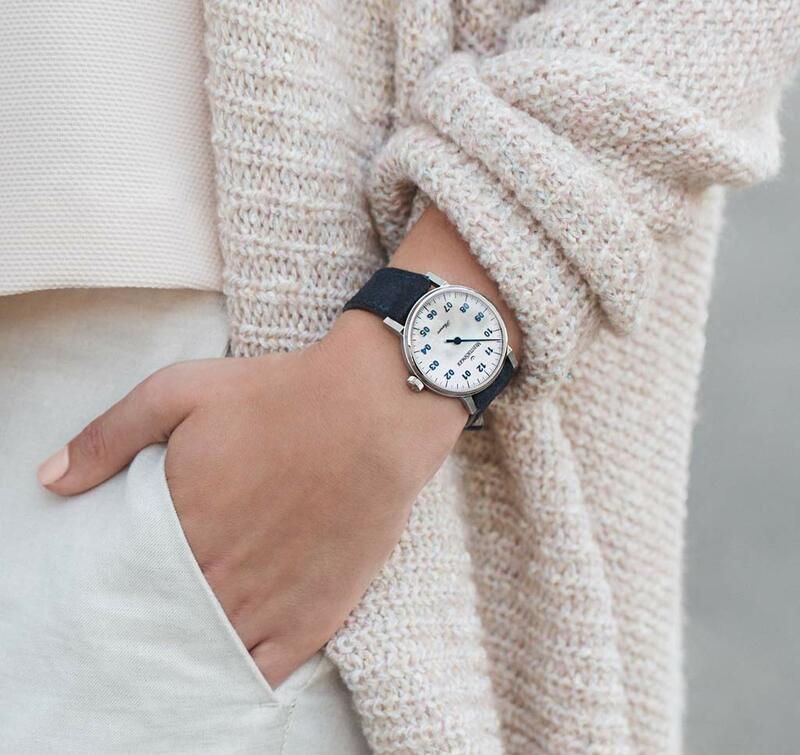 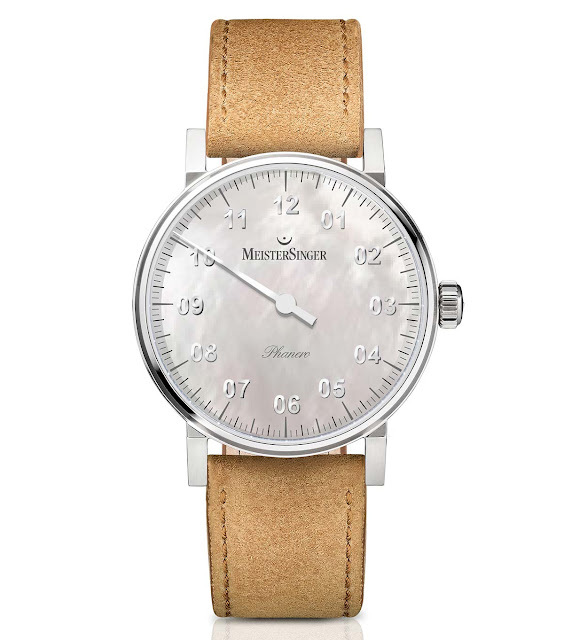 The new model is experiencing great success thanks to its versatile size that works well for both men and women, the edgy design with angular lugs which contribute to a strong look and, of course, the distinctive design of the dial with one hand only and applied double-digit hour markers. The Phanero line is now expanding with two models with mother-of-pearl dials which create beautiful light effects while taking on the changing colors of the environment. 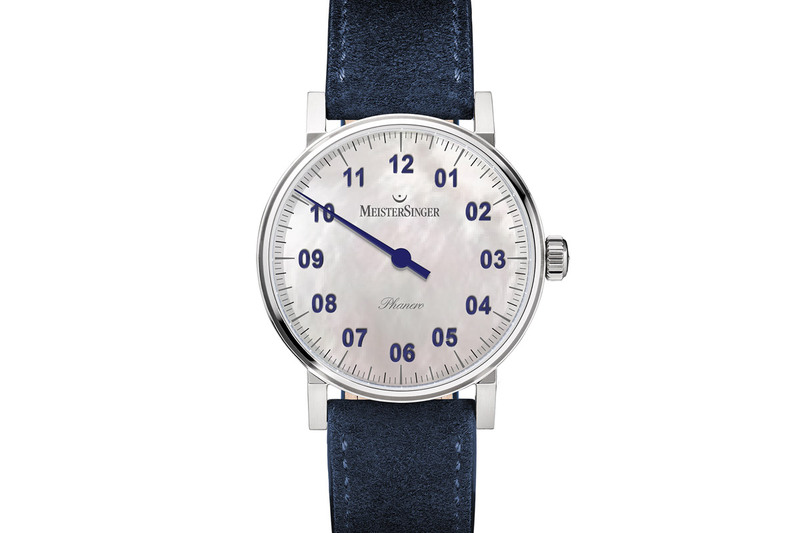 The mother-of-pearl dial also highlights the elaborately applied hour digits, which are available in shades that match the single hour hand, either blue or bright silver. Water resistant to 30 metres / 100 feet, the 35 mm x 7.5 mm stainless steel case alternates polished and satin-brushed surfaces with a sapphire crystal case back to reveal the Swiss hand-wound and anti-shock movemen which beats at 28,800 vibrations per hour and guarantees a power reserve of 42 hours. MeisterSinger Phanero mother-of-pearl. 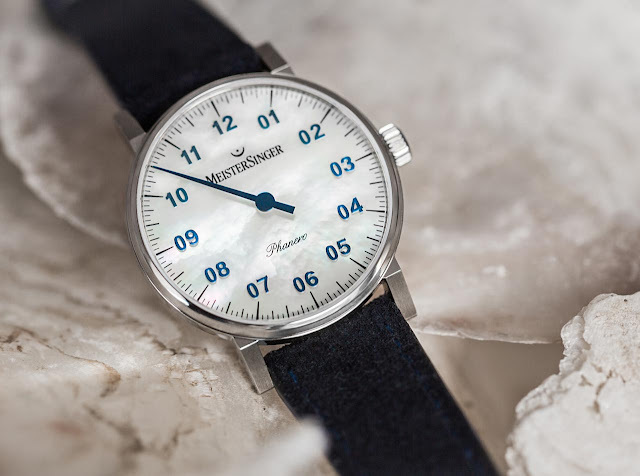 The Phanero line is now expanding with two models with mother-of-pearl dials which create beautiful light effects while taking on the changing colors of the environment. 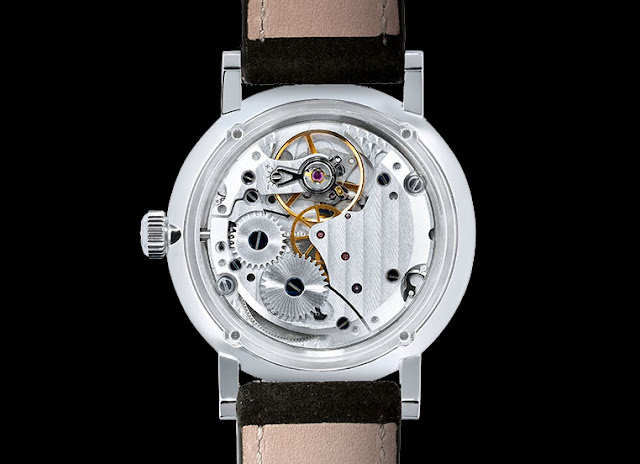 The Phanero mother-of-pearl has a retail price of Euro 1,549.